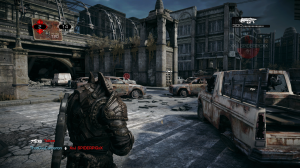 The original Gears of War revolutionized the gaming industry nearly a decade ago, and now it’s back with the Ultimate Edition remake on Xbox One. Gears of War has aged beautifully with its smooth gameplay, great characters and story, amazing level design, an incredible soundtrack, and creative weapons and enemies, but is Ultimate Edition the definitive version of the old Xbox 360 title? Gears 1’s characters and story are the beginning to something truly special. 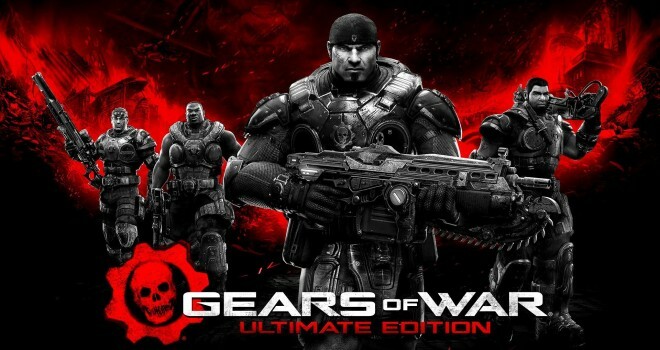 Although Ultimate Edition is a full remake of the original Gears, it is also a very faithful recreation. I’m glad that the developers at The Coalition decided to stay true to the original considering how well Gears of War still holds up. Ultimate Edition could have refined some of the controls. One issue that plagues the original Gears somewhat is that the A button is used for too many functions. It’s used for running, rolling, taking cover, switching cover, and moving out of cover. Ultimate Edition really should have added the improvements that the sequels brought to gameplay, but I’d rather no gameplay improvements over messing with what worked so well in Gears in the first place. There are also a lot of graphical issues that Ultimate Edition fixes. Cutscenes now play smoothly unlike the original 360 title which had really bad frame rate issues during cutscenes. Ultimate Edition is also a lot more colorful and improves all of the textures and effects to a much higher quality. I only encountered a few frame rate drops and some small textures that would take a while to load. It isn’t the nicest looking game that you’ll find of Xbox One, but it does look great. The Gears of War games still have the best shooter gameplay around. Ultimate Edition also includes the five lost chapters that were removed from the original 360 game. Due to time constraints, they were only originally included with the PC version which was unpopular due to being forced into Games for Windows Live. It’s a shame, too, since the lost section is a lot of fun and includes the game’s best boss fight. Fans who have only played the 360 original will now be able to play through the full game. As far as major issues go, I only had one. The game failed to load the next chapter after a cutscene, and I had to exit and reenter the game. Thankfully, that was the only time it had happened, and it doesn’t seem to be a common problem. All other modes like campaign co-op and multiplayer are still just as good as they were in the original. It’s nice to see a modern game that still includes local co-op and versus, so you can play with a friend on the same console. 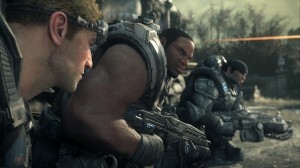 Online multiplayer includes new modes from the Gears sequels, and that is probably Ultimate Edition’s biggest new inclusion. Multiplayer is still fun and I had very few issues while playing. Although Ultimate Edition doesn’t add much to the original Gears, it really didn’t have to. It’s the definitive version of Gears, and it’s a great way to start out with the series for the first time or return as a long-time fan. With better graphics, new multiplayer modes, and other little improvements, at a budget price it’s a must buy. The Gears of War franchise is still the king of the shooter genre to this day. Now I trust The Coalition and Microsoft even more that Gears of War 4 will be worth the wait.